Ever since kale became the trendiest superfood on the planet, I’ve heard one technique and over again: massage it. It’s supposed to break down the toughness of the leaves to make them softer and less bitter, giving you a bowl of greens that not only tastes better but is easier to digest. But what does it mean to massage your kale, exactly? To me, massaging kale sounds like it should be a totally Zen spa experience. Like, if kale had eyes, cucumber slices would most definitely be placed on them. And instead of olive oil, it’d be getting slathered in relaxing essential oils. Unfortunately, there’s no R&R for these greens. But, good news: Working out kale’s kinks doesn’t require nearly as much effort as your own. Kalman says to start by grabbing a large plastic container that holds at least 3 gallons of volume and combine the water and salt using a wire whisk until the salt is completely dissolved. Then, submerge the kale in the water and cover with a towel to keep it submerged, allowing it to soak for 12 to 24 hours. 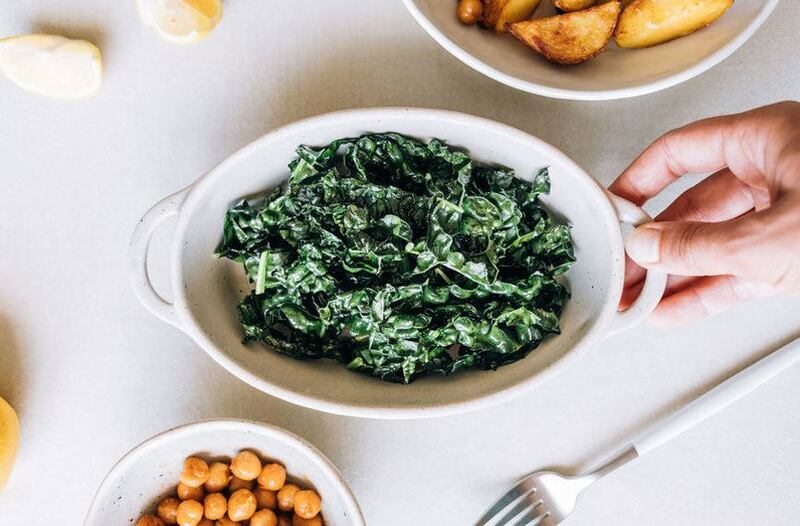 Whether you decide to give your kale a massage or simply soak it in salty water, you’ll be left with a restaurant-worthy salad with leaves so perfectly tender that you might even convince yourself to bring it to work to eat every day.